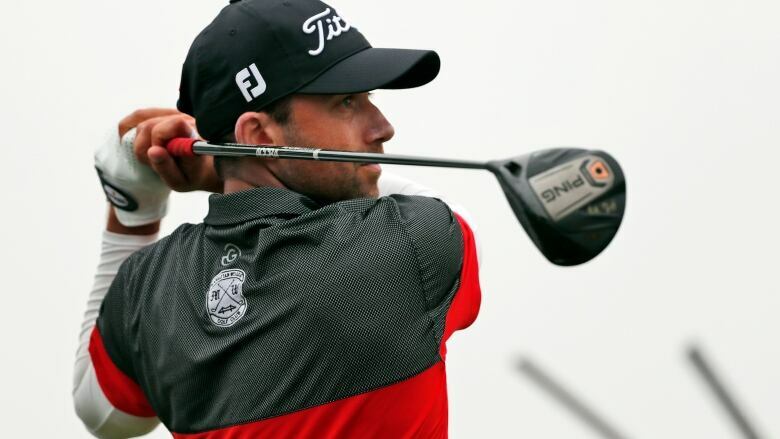 Canada's Ben Silverman shot a 3-under 67 to sit tied for second after the first round of the Honda Classic in Palm Beach Gardens, Fla.
Canada's Ben Silverman was tied for second after the first round of the PGA Tour's Honda Classic. "Me and my caddie have a great strategy for this week for kind of moving forward," Silverman told reporters. "We've picked a style of swing that is comfortable for me, and we just move my targets for wind, and I think that helped hit more fairways, and when I missed greens, I was missing because we had a better club in hand and I had a slightly easier up-and-down where I could bump it into a low spot. I was never short-sided." "It's really comfortable. It's like a second home. I've been here since '06, and I'm 31, so it's almost half my life I've been down here really, so I'm used to the weather, I'm used to the Bermuda (grass), the style of course, and I've played this course a ton of times — mini-tour events plus Q-school." "I'm slowly getting more comfortable out here," he said. "I know the courses now, so I'm working more on my game in the practice area and less on practice rounds, and I think it's going to pay off moving forward." "Hit my irons the best I've hit them all year and I've always liked this golf course," Vegas said. "It's kind of one of those courses that I think suits me. You have to hit the ball well and you have to get around really well. And then I made a few putts." "To feel like I gave quite a few back today and shoot 2-under par on this golf course, it's great," Thomas said. Also at 68 was Sam Saunders, the grandson of golf legend Arnold Palmer. Saunders birdied all three holes in the famed "Bear Trap" stretch at PGA National, the run of holes 15 through 17 where a par 4 is sandwiched by a pair of par 3s that can be treacherous even without much wind.